Johann-Dietrich Woerner, the dynamic and colourful head of the German Aerospace Centre, is to take over as director general of the European Space Agency (ESA) this summer. He will succeed Jean-Jacques Dordain, who has held the top post at ESA since 2003 and whose third four-year term at the helm of ESA ends on 30 June. Since taking over as head of DLR, Woerner (60) has pushed for an expanded European role in NASA’s Orion crew capsule – a proposal that became reality when ESA and NASA agreed for Europe to supply Orion’s propulsion and power module for a test flight in 2017. The service module is being built by Airbus Defence and Space in Bremen, Germany, in the same facility that produced ESA’s Automated Transfer Vehicle (ATV) to resupply the Space Station. He has also pushed for cost reductions on the French-led Ariane rocket programme and led DLR to sign a cooperation agreement with US-based Sierra Nevada Corporation for joint work on the company’s Dream Chaser spaceplane. Woerner also fought to keep ESA as an independent institution in control of its own programmes and opposed merging with the European Union. Dordain will present his traditional new year press conference in Paris on 16 January for the final time. During his 12 years as director general, ESA has grown in international stature, launching space probes to the moon, Venus and a comet, and developing space telescopes and environment monitoring spacecraft, as well as working on more controversial programmes like the development of Europe’s Galileo navigation satellite system. In the past decade ESA has partnered with Russia to launch Soyuz rockets from the European-run spaceport in French Guiana and debuted the new lightweight Vega launcher . Dordain’s tenure also included development and five successful flights of the ATV, an unpiloted supply ship for the orbiting Space Station. After a successful Council meeting at Ministerial level, held on 2 December, 2015 will be another year when ESA launches missions that cover all the domains of the space sector. The year will start with the undocking from the Space Station of ATV-5 and its re-entry into the atmosphere. The Space Station will see three European astronauts. Samantha Cristoforetti, the first Italian female astronaut, is already working on the orbiting research complex and will return to Earth in May. 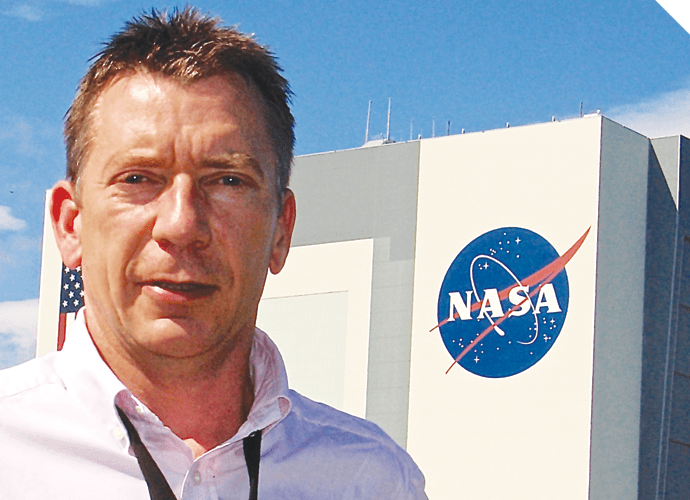 ESA’s Danish astronaut, Andreas Mogensen, will join the Station in September for a 10-day mission, followed by his British colleague, Tim Peake, who will lift off in November for a long-duration flight of six months.